Radiography utilizes transmission of photons or neutrons to obtain information on the structure and/or inner processes of a given object. 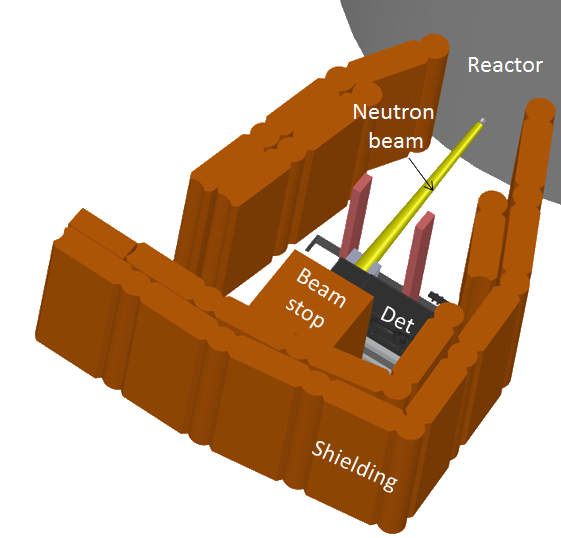 The thermal neutron imaging facility, RAD is served by an in-pile, Cd-covered pin-hole-type collimator for neutron and gamma radiation. 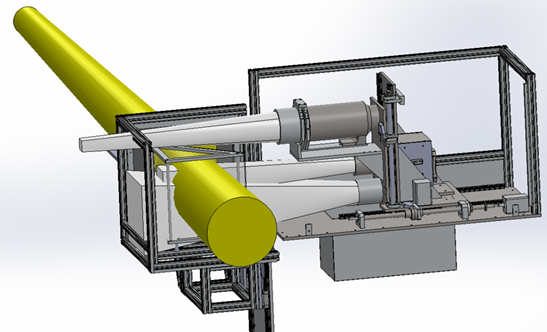 The facility offers two measurement positions along the neutron beam path with a beam diameter of ~200 mm, used for dynamic (DNR) and for static (SNR) imaging with a measured L/D ratio of ~250. Options are provided to use beam filters made of boron-containing rubber and lead bricks, resulting in a significant modification of the beam energy distribution, giving a fast/thermal neutron flux ratio of 77 instead of 0.6. The RAD facility is also equipped with an optional X‑ray tube, allowing dual-modality imaging. 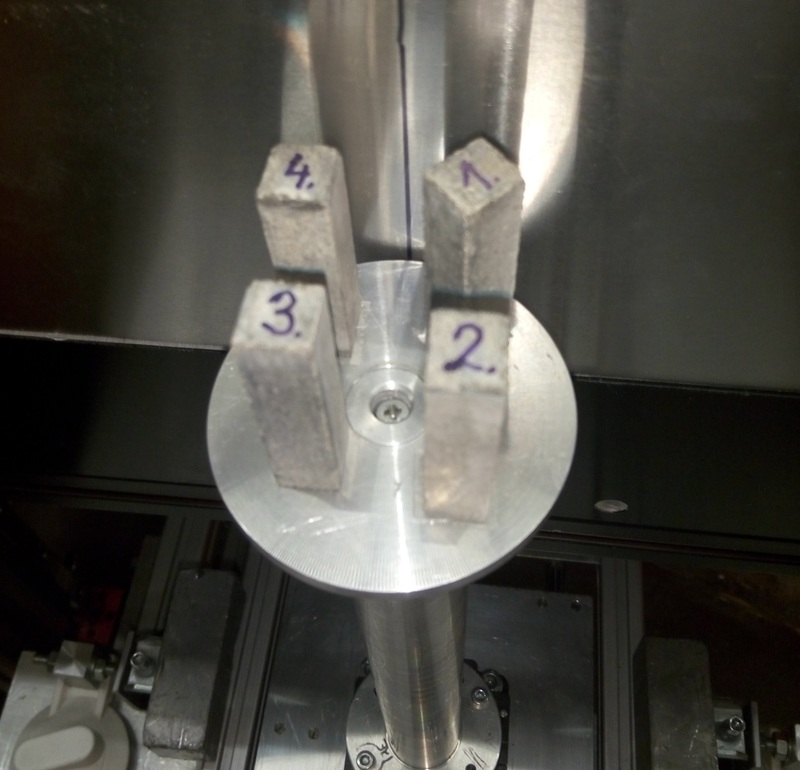 Two motorized sample stages, one for small and one for large samples (with a maximum load up to 250 kg) are available to support the investigated objects. A sapphire-crystal-based filter is under installation to suppress fast neutrons. 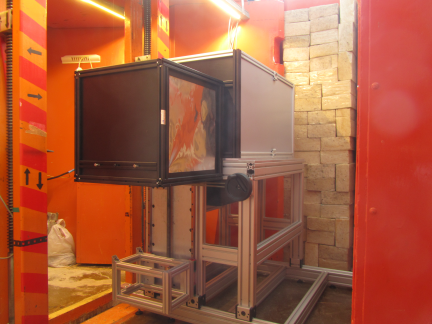 The image detection of the RAD station now comprises a new digital imaging equipment being able to carry out 2D and 3D imaging using suitable scintillation screens. 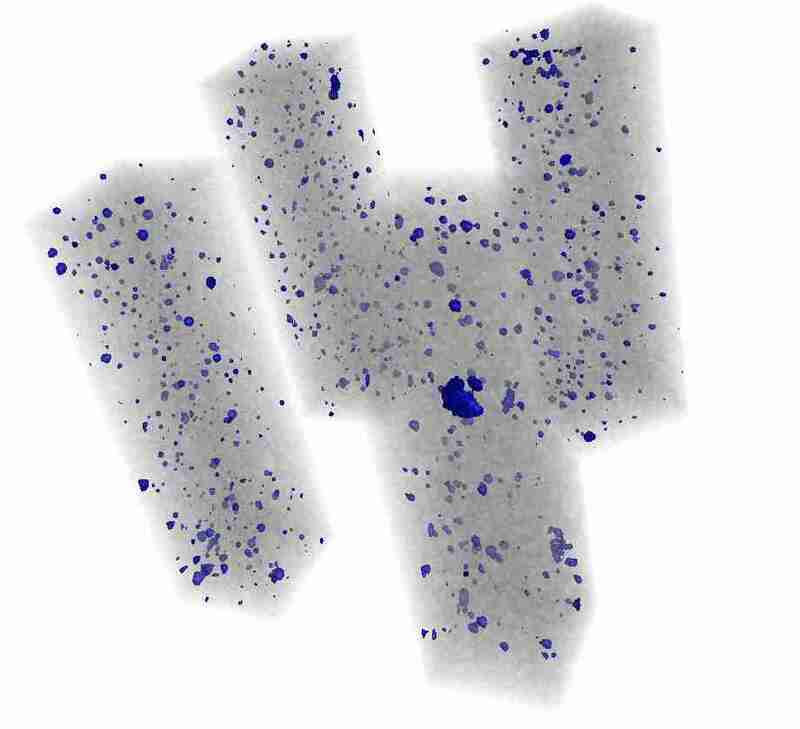 The spatial resolutions of the available screens are as follows: scintillation screens for neutron radiography with resolution between 70-250 μm; intensifying screens for X-ray radiography with a resolution of 100-200 μm. For better flexibility, an option is provided to apply larger or smaller fields of views (FOV) with lower and higher spatial resolution, respectively. 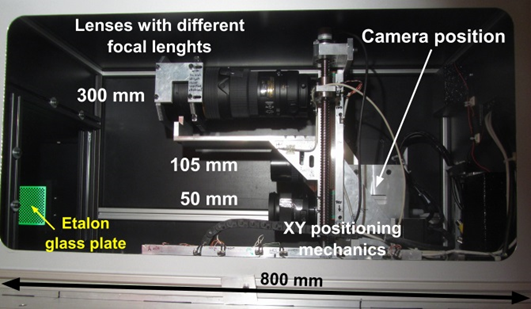 The static radiography and tomography is accomplished by a new, large area sCMOS camera. Here altogether three different optical systems can be setup using the available lenses with 50 mm, 105 mm and 300 mm fixed focal lengths, interchangeably coupled to the digital camera, giving the different FOVs. For the manipulation, reconstruction and visualization of the 3D neutron and X-ray datasets (i.e. the tomographic images), the latest Fiji-ImageJ, Octopus 8.9 and VG Studio 2.1 software packages are used. Dynamic radiography is performed by means of a low-light-level TV camera with a fast imaging cycle, making possible real-time imaging. The zoom optics coupled to the camera provides a variable field of view. The two cameras can be used interchangeably in a light-tight camera box equipped with a rail system providing the necessary optical path lengths. In addition to the cameras, photo-luminescent imaging plate (IP) technique is also available for high-resolution X-ray and neutron radiation detection with transfer method using In and Dy (100 μm) foils. The exposed IP-s are read out by a BAS 2500 image plate reader equipped with the AIDA image processing software.